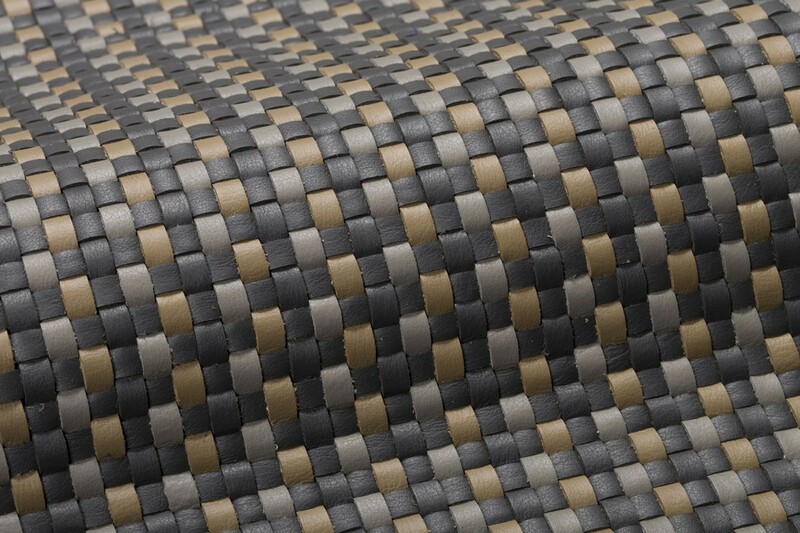 Leather Weave takes quality upholstery leather and creates depth and pattern by weaving thin strips together. 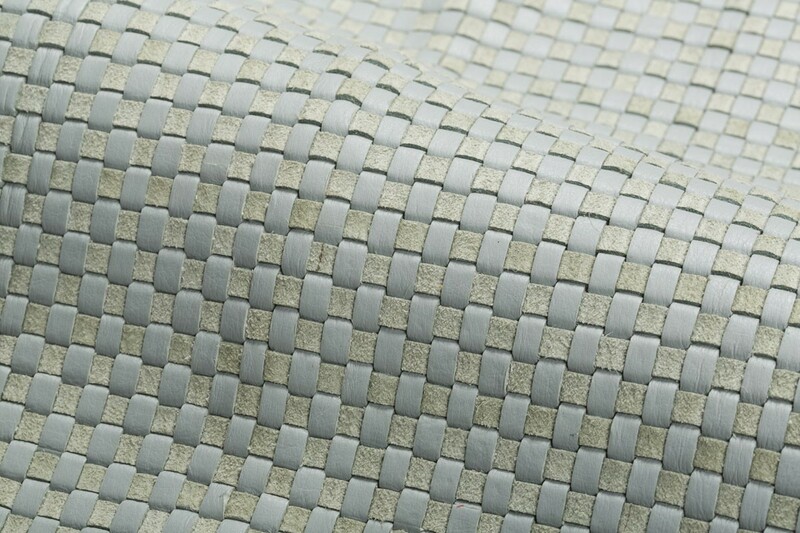 This unique covering for upholstery and architectural products offers a distinct look with a more efficient use of leather as an entire hide can be used to make the product. 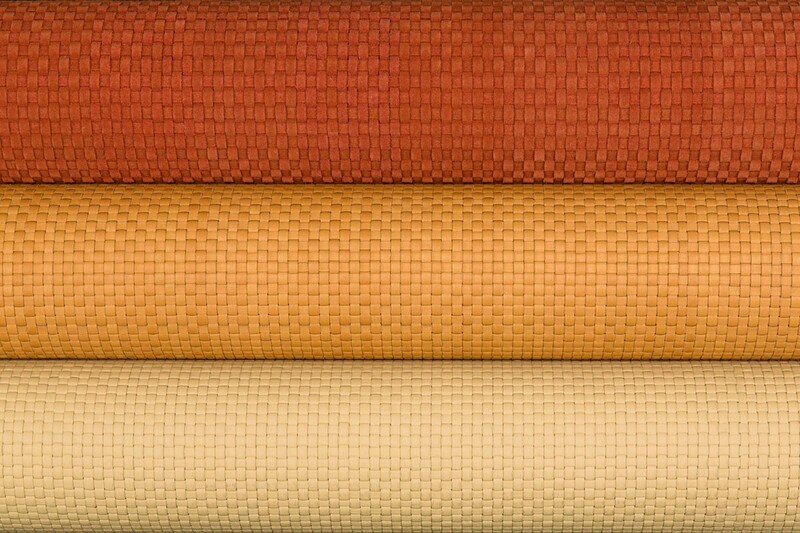 Any Spinneybeck leather may be used to create custom Leather Weave including pearlized, sueded, and four patent leathers. 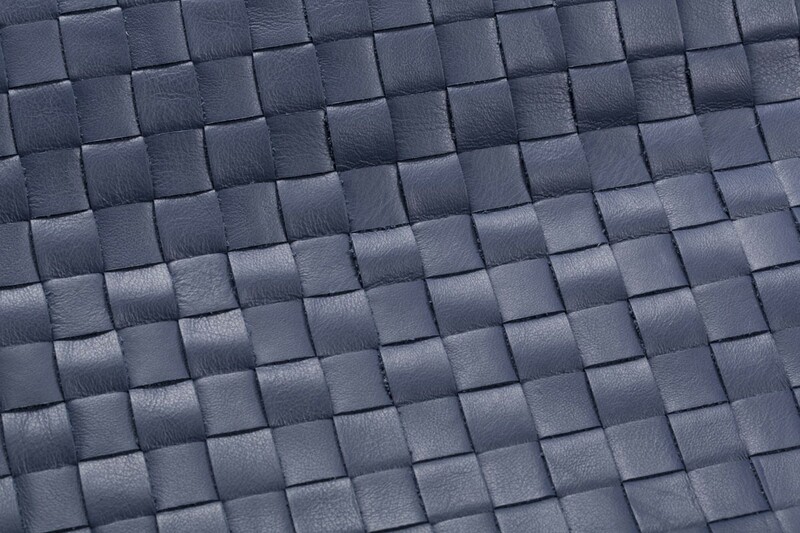 Up to three different leathers styles may be used to create subtle or dramatic patterning. 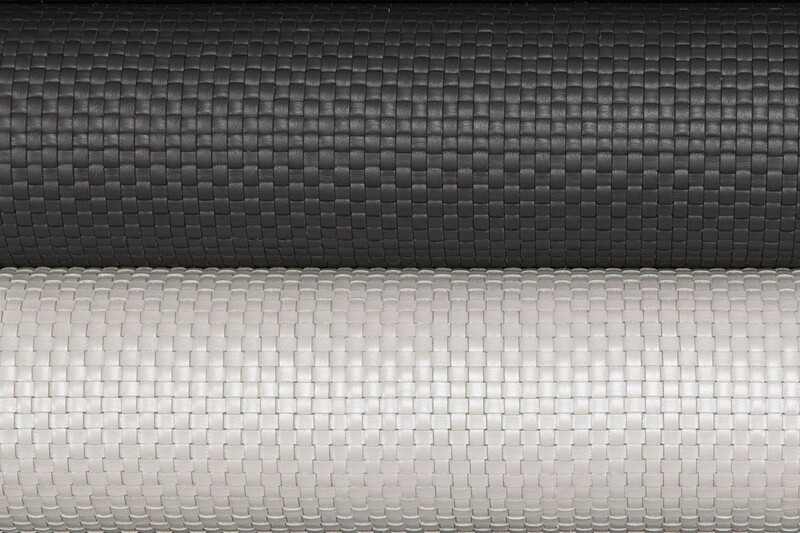 Also choose from 0.2 in (5 mm) or 0.28 in (7 mm) strip width and roll width of 27 in (69 cm), 36 in (91 cm), or 38 in (97 cm).